Hobbits & Hairdye: 10 reasons why Broadchurch is so great. 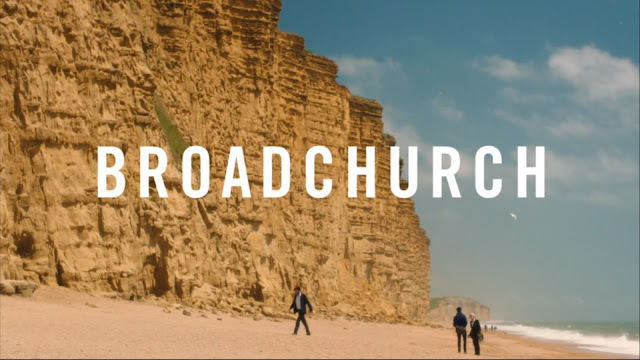 10 reasons why Broadchurch is so great. Broadchurch has become a household name in British television viewing, creeping in the shadows of The Great British Bake Off (RIP.) The last episode of the last series has finally aired and quite frankly I am devastated that it's over, but rather than wallow in misery that it's over I thought I'd rather focus on why it is so well loved and what will be most missed. 1. Miller & Hardy. Straight up is there a more iconic duo? Their banter, their bickering and their crime solving is up there with the best. I remain adamant they will one day confess their love for one another and have little angry scottish/west country sounding babies. I can dream. 3. David Tennant's Scottish Accent. You can literally hear the scottish-ness from the gif alone. I love how his accent gets 10 times stronger as the series' go on and as he gets more and more angry. I could probably listen to him say 'MILLLAAAAAHHHHH' on a loop for hours. 4. The acting. Obviously at the heart of any successful television drama is the acting. The casting for this programme was impeccable, every single person had so much emotion, but could also carry the lighter tones to provide comedic relief. The highlights for me of the most recent season are Olivia Coleman (Ellie Miller) and Andrew Buchan (Mark Latimer.) I can't remember the last time I felt so emotionally invested in a character as I did with Mark's this series, and that is a sign of terrific acting. 5. Everything Miller says. Ellie Miller is my hero. Her emotional speeches, her farmer accent and her one liners. All fabulous. 6. The Who Dunnit. There are more twists and turns in this programme than there is on every single roller coaster in the world. As soon as you think you have it sussed they throw someone new into the mix. Even up until the last minute they still leave you guessing, I don't think I've ever watched a programme before where I didn't even have the slightest inkling about who did it. Bravo Broadchurch. 7. The Quotes. Mostly these come from Miller & Hardy's ongoing banter, the one liners in this programme are comedy gold and hence have become so gif worthy. 8. Cliff Hangers. Every episode ends with a ridiculously intense cliff hanger, which normally I hate, but I'm so hooked on this programme that it makes me so excited to watch the next episode. Such a gripping programme. 9. Rory from Doctor Who. 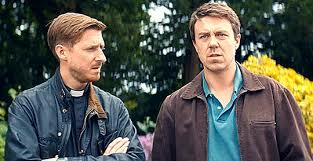 I love Arthur Darvill, so when I found out way back when that he was going to be in Broadchurch I was over the moon. I like that he was cast as a priest, and someone with notes of wisdom, quite different from his role as Rory which I'm actually really happy about. Despite him being a more minor character, I still loved all of his moments on screen. 10. This Guys grumpiness/sass/face. I love David Tennant in general, but him as DI Hardy is just extra perfection. His character is so grumpy and sassy, but deep down actually quite nice. Plus I just love his face. Thank you for a brilliant 3 seasons, and please one day return to our television screens. Were you as obsessed with Broadchurch as me? Which was your favourite series?